My recent visit to the Metropolitan Museum of Art was like many other visits I have made – there is a lot of wandering involved, as I try to gather information, either consciously or subconsciously, in the hopes of using this new knowledge to solve vexing problems in my own work. That said, I often visit the Met with a specific purpose in mind. One day last May, I needed to study the crispness of light and air in Claude Monet’s Regatta at Sainte-Adresse. Another visit was all about the need to simply stand and be with Janet Fish’s Raspberries and Goldfish, soaking up visual joy. All of this is good, but the #1 lesson I learned again on this recent visit was to slow down and look around me, allow myself to be unexpectedly inspired, let my instinct navigate. Luckily, I was with a friend this time who insisted on visiting galleries that would have been low on my priority list. And there, in the low light of Gallery 455, the dazzling luster of lapis blue from ceramic vessels and intricate tile work seized my painter’s heart and ran with it. I went on to spend two hours there, hungry for every subtle variation of lapis blue I could find. I’d been through that gallery dozens of times over the years, but today I was ready to absorb and process the beauty that I had only glimpsed in passing over the years. Like a seed ready to germinate, we learn and grow when all of the conditions are right. Upon exiting, I looked down at the soft and luminous colors under my feet on the grey/pink marble floor, and then looked up as I exited the gallery. The feeling of intimate and vast spaces collided within seconds, causing my senses to overload just a bit. The thrill of being at the Met! It was time for coffee. After a short break, my friend and I went on our separate journeys through the museum. It became clear to me at this point that I wanted to devote this trip primarily to study space and how color relationships effect space. Challenges pertaining to my own work are never far from my mind. Giovanni Battista Tiepolo, The Glorification of the Barbaro Family, c. 1750, oil on canvas, Irregular oval, 96 x 183 3/4 in. Anonymous Gift, in memory of Oliver H. Payne, 1923. The Metropolitan Museum of Art. Heading back towards toward my comfort zone of twentieth-century European art, I paused to be with the Tiepolo paintings and frescoes in Gallery 600. Looking up, Lesson #2 began to germinate as I studied The Glorification of the Barbaro Family. I have always been fascinated by Tiepolo’s work, especially his use of the contrasts of weight and weightlessness, transparency and opacity. 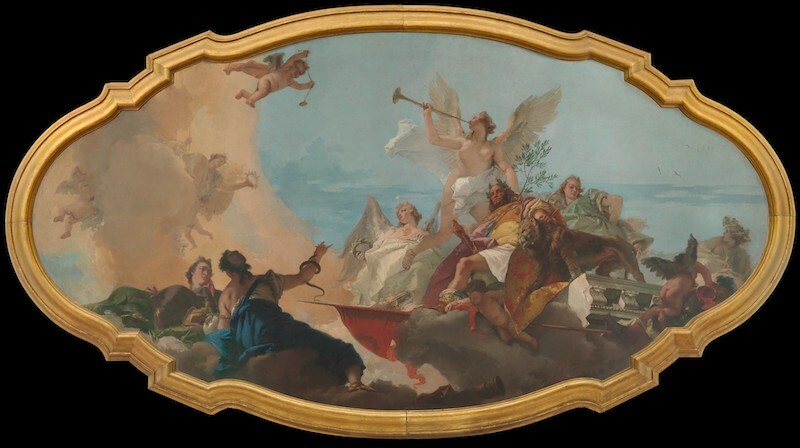 This painting, like many of Tiepolo’s works, is divided into two worlds, the weighty, solid foreground, and the ethereal, transparent background. The figure of Fame, blowing the trumpet, compositionally becomes the connection between the two worlds. Today I realized that Fame’s blowing garment, wings, and flesh tone are the color/value connectors that make the fluid, graceful transition between earth and sky. Fame’s flesh is almost the same value as the sky. Fame’s blowing garment and wings, in addition to being the same value as the sky, also share some of the same color found in the sky — a device which makes for the smooth transition to the ethereal. This is a brilliant painting that teaches me something each time I spend time in front of it. Lesson #3 involved one of my dearest painting heroes, Pierre Bonnard. The Dining Room, Vernonnet invites me into Bonnard’s world, and I’m always thrilled and grateful to take the journey. Today I have color and space on my mind. Bonnard was fascinated with how light changes and reveals color. As my painter husband says, “There are no conventions with Bonnard.” It’s pure and raw passion one minute, and then subtle complex layers of paint and shimmering movement the next. Each time I visit this painting, Bonnard has some new insight for me. As I am drawn into the Dining Room at Vernonnet, I notice the small dark rectangle (a tray?) near the plane of the back wall. This tiny dark shape allows the rest of the composition to burst with what seems like bright light. 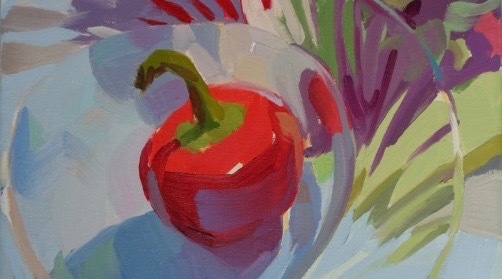 On closer scrutiny, I realize the vibration of warm and cool reds are creating movement and space within the room. Space and movement created by changing the temperature of the red. Intense color in the tiniest of shadows – pure power, brilliant light. Today I’m noticing the weight/weightlessness of color in Bonnard’s work, hoping to learn from this master tools to bring back to my own work. My head buzzing with new inspiration, I head off in no particular direction. I need to walk and process the gems freshly gleaned from this most recent visit with The Dining Room. I walk down a flight of stairs and directly into Lesson #4. 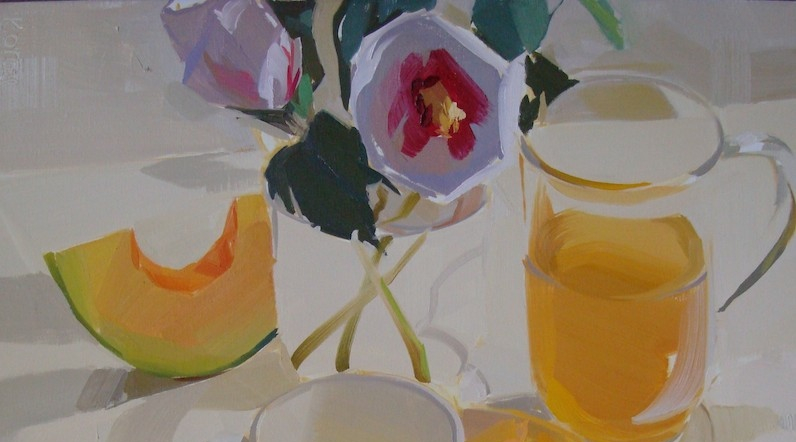 Fairfield Porter’s Sunrise on South Main Street is straight ahead, inviting me over for a visit. Porter’s sensitive, personal, often neutral color has a quiet but powerful impact. As with Bonnard’s work, I gain insight with every visit to a Porter painting. Also, like Bonnard, there are many layers to Fairfield Porter’s work. I’m always drawn into this painting for it’s feeling of familiarity – a suburban street, an early spring morning. The cadmium green of early spring lawns. The vast expanse of space draws me into the picture and makes me feel as if I’m viewing this scene from a second story window. This visit, I start to realize the importance of the contrasts in this painting: quiet, flat, predictable geometry versus the organic random wildness of nature. Nature is seething under the surface; it could erupt any second and disrupt the orderly restraint of society. Nature is mostly dense, saturated color here, contrasted with the subtle neutrals of houses and asphalt. Next, I surrender to the often-inexplicable forces that guides us as artists, and three minutes later I am standing in front of Mark Rothko’s painting White, Red on Yellow. Lesson #5. This painting of Rothko’s feels like it’s connected to the stream of my lessons today: it strikes me as a work that deals with color relationships and space in their purest form. Rothko has boiled it all down to raw elements. 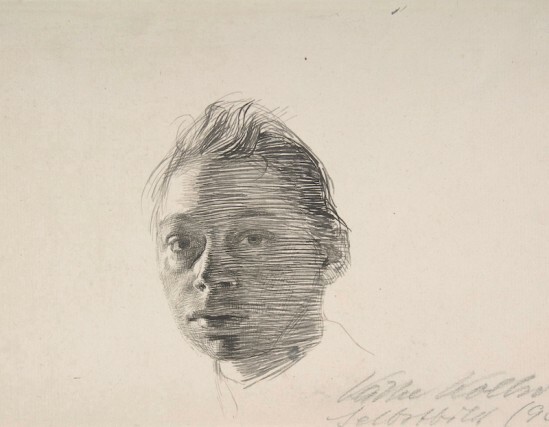 The relationship of color and shape produce the space, which becomes the subject of the work. Weight and weightlessness of color, light traveling through the painting, spaces created using warm and cool variations within a color family—all of these ideas run like common threads through the fabric of my own painter’s sensibility. Somehow, I feel nourished, inspired, and exhausted all at the same time. My goal for the next visit is to begin with a totally unfamiliar gallery, slow down and really look. Maybe even dawdle. Decelerate.